Global Wireless E-Voting is the newly proposed technique of this era to secure the dignity of voting. Everyone is aware of the present situation of the voting procedures. Politics and corruption have prevailed everywhere. Though voting needs to be the impartial and fair procedure which outcomes the true desire of the Democracy. But unfortunately, we have come across various incidents where we have seen the improper use of voting machines. The whole control is kept in the hand of voting in charge officer. One more risk with the present voting machine is that anybody can increase the vote count since the count is present in the machine itself. We are living in the computer world where technocrats have come up with the unbelievable innovations. So should not we do something to improve the procedures of voting? Partial voting impacts the whole nation. The people will tend to refrain from the voting activities if politics and corruption will continue to affect the voting system. One solution to the existing problem is Global Wireless E-Voting. So what is electronic voting? It is an online voting system project. The machine is made intelligent which can determine the eligibility of the voter by scanning the eye pattern i.e retina which is unique for everyone. And the vote count is not kept into the same machine itself instead of it is stored in the remote server by converting it into radio waves. Hence, it eliminates the chance of increasing the vote count of the machine. Working of this electronic voting software is very simple. Whenever voters enter to voting booth then he will be instructed to directly look at retina scanning machine at this time the machine scans the retina. Once retina scanning properly confirmed then it sent a signal to the voting machine as to accept the vote it will be powered on. Only then the voter is made to vote.Now the whole data including the retina pattern is sent to interfacing device which converts into radio waves of the mobile frequency range and these radio waves are sent to the mobile tower and then to the remote server, where the authentication and voters identification is stored in a secured database. The received data is first converted into digital format from the radio waves through the interface device kept at the server side, and then retina pattern and vote separated. Next, the retina pattern is matched against the existing database.If a match is found then a flag is check which indicates its voting status i.e. if the voter is not voted yet then a positive acknowledgment is sent to the mobile tower and then to the corresponding voting machine. This acknowledgment is recognized by the receiver kept at the voter side and the machine is made to scan next retina pattern and vote, otherwise if negative acknowledgment then an alert alarm will be rung. So using this technique, we can ensure that only reliable voter is voting for himself. This system will also warn the corrupt people/voter, not to indulge in such malpractices. Only then we can ensure the dignity of voting is secure. Do share your views about the concept of Global Wireless E-Voting. 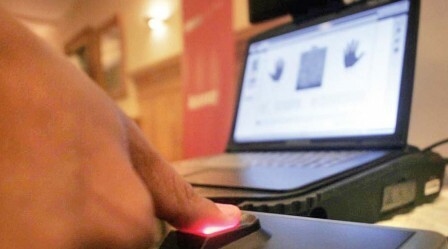 Should e-voting or online voting system be used going forward? I want to know more about his project. so, kindly give me detail of it. i m student of BS Software Engineerig in my final year.